I have a question about the jaw mechanics. 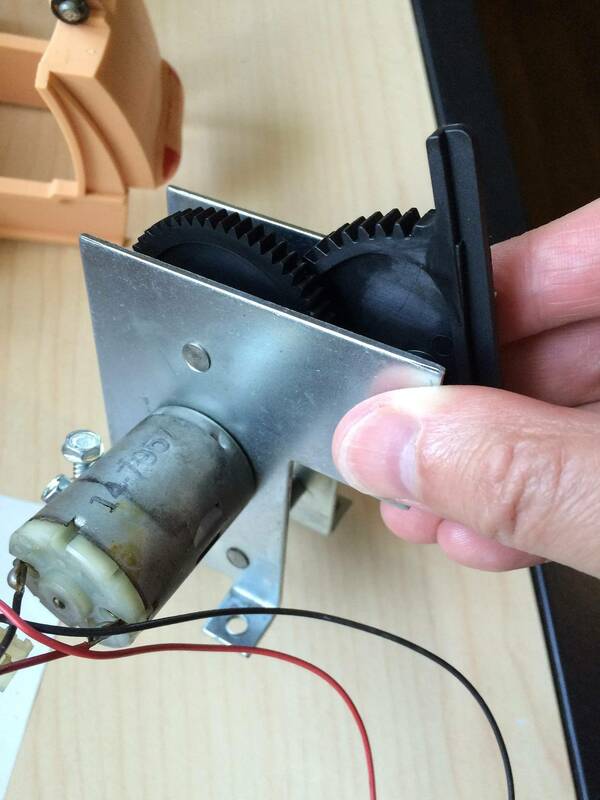 The motor drives the large black gear, which then drives the sector gear. The question I have and others have mentioned in youtube tutorials and such, is, how does the motor not keep trying to turn when we're at the end of the sector gear teeth? I wonder if the gear teeth get stripped a lot b/c of this. I'm just wondering what the correct position of the motor is when I hook this back up and power up the game. You might be overthinking this one. I just finished putting my FH back together, and the one thing I got right (after lots of tinkering and bothering people with questions) was the Rudy rebuild. I just put the motor back on the gears, and when I put the jaw back on, I just pushed it all the way up so his mouth was closed. When the motor fires up, it pulls the jaw down level with the PF, then puts it right back where it belongs. Must be the gears that control the stopping and reversing. I don't really care...as long as it works! I agree with beelzeboob. Like I said in your other thread on this, it's the sector gear that helps limit the movement and direction. Also, if I remember correctly, there's a control board for the motor under the playfield. Somehow, (I assume through magic) the windings in the motor change polarity or phase or magnetic feilds depending on the current and moving the rotor, etc. etc. Just hook up the jaw linkage to the gear, button Rudy back up and have at it. If you are worried, buy an extra set of gears or the metal ones if you can find them. When you reach the limit of the sector gear, the motor begins to draw more current to try to keep moving, the control board detects this as the end of stroke, and then will reverse. The torque of the motor trying to spin the sector gear past its limit is what ultimately strips out those last few teeth that breaks the whole thing. I do believe the entire head mech, which is also the same for Road Show's Red and Ted, could be redone using modern servos, some minor circuitry and a 3d printer, its a project I hope to attempt one day. yeah not only did my gears get stripped, the stopper at the end of the sector gear snapped off as well. any suggestions for extending the lifespan of the replacements?